It’s our mission to introduce professional guys to genuine, beautiful & trustworthy Thai ladies from proven backgrounds. If you’d like more dating options and you’re looking for the “Real Thing”, you’ll be delighted with our personalized, Matching & Introduction program. Learn more with our Free Case Study here. “Gentleman if you are looking for a genuine dating agency in Thailand. You cannot go wrong investing your time with Khun Nathamon and Khun Sheenah from Thai Lady Dating Events (Meet Me Now Bangkok). I looked at a few dating sites and was very happy and glad that after speaking to them on the phone that I choose Khun Nathamon and Khun Sheenah to help me find and make my dating experience very relaxed and comfortable. I cannot say enough about their professional support with a genuine interest in helping me find someone. It was a great relief to have found somewhere and someone genuine in assisting me look for someone special. I never felt that I was ever on my own. In all aspects prior to meeting any ladies, going on dates and then the follow up and support given, for me was second to none in this industry. The ladies that I were introduced to, where all genuine, their backgrounds where all checked also. They were lovely ladies, very well presented, dressed and excellent company to be with. Gentleman, please take the time and speak to either Khun Nathamon or Khun Sheenah, you will be in very capable hands. I have no hesitation in recommending anyone who is looking at finding their special partner here. They will make your trip to Thailand very special experience. Don’t fall for the bar girl scene, this is a genuine dating agency, a call is not much to lose, so give them a call and see for yourself. 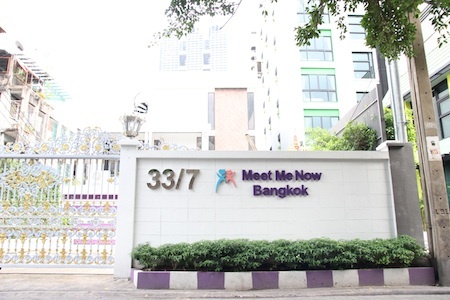 Copyright © 2018 Meet Me Now Bangkok Co.Ltd. All rights reserved.